Altus Host Review 2019: Is Altus Host a Good Hosting? Founded in 2008, AltusHost is a premium web hosting company providing dedicated servers for enterprise-grade customers as well as shared and VPS hosting for individuals and small to medium-sized businesses. They have some of the fastest servers on the market and a record of more than 10,000 satisfied customers. They operate multiple data centers located across Europe. AltusHost has been competing to be recognized as the top managed web hosting service since 2008. They focus on quality customer service, uptime, and competitive prices. AltusHost has some of the fastest servers on the market and a strong presence in Europe, with data centers in the Netherlands, Bulgaria, and Sweden. To date, AltusHost has served more than 10,000 satisfied customers. Unlike many of their competitors, AltusHost does not rent or resell hardware from large providers. They prefer to use their own technology to make sure they are in full control and everything runs smoothly. This gives them a unique edge in the market, as they have a keen understanding of their product and how best to tweak their services to give their users the best customer experience possible. They also provide a free website migration service and a website builder, both of which were nice touches on an entry-level package. What I appreciated most about their shared hosting service, however, was the level of performance and support that comes even with the most basic package. Every user account enjoys a LiteSpeed Web Server installation, which ensure that servers operate several times faster than the typical Apache Web Server installations that most other providers sport. Also, their CloudLinux operating system eliminates many of the resource allocation issues a typical Linux shared hosting OS would have, so even on a shared hosting account, your website’s performance won’t take a hit when other websites on the same server get a surge of traffic. AltusHost also offers VPS hosting packages for businesses that have outgrown their shared hosting plans but don’t yet require the level of performance that dedicated servers would provide. These VPS packages are fully managed, with the option of either Windows or Linux as an operating system. Plus, with AltusHost VPS hosting packages, you get full root access to your virtual servers, and you can also reboot your power panel remotely without contacting customer support. AltusHost offers plenty of different web hosting plans for all kinds of needs and budgets. 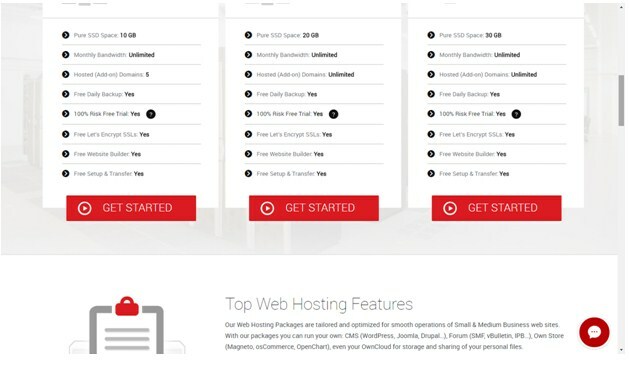 Their plans are fully customizable, and there’s an excellent 45-day money back guarantee for shared hosting plans (50% more than the industry standard). What I really love about AltusHost is that it’s super easy to upgrade or downgrade your VPS at any time – a feature rarely found with other hosting providers. If you notice that you’re paying for something that you don’t really need, you can simply remove the feature. Upgrading is just as easy, as you can scale vertically at any time. Plus, AltusHost offers a 14-day risk-free money back guarantee for VPS plans, yet another rarely-found feature in the industry. Most of AltusHost’s support channels can be accessed only after you log in, which includes live chat and their support ticket system. The plus side is that they respond to support tickets fairly quickly – when I contacted them, I got a response within a few hours. Non-customers will get a response to their emails within 24 hours, but only during the workweek. AltusHost allows businesses to tailor their web hosting packages around their needs and budgets. While AltusHost is not one of the pioneers in the industry, they’re definitely a solid choice for those looking for feature-rich, high-performance web hosting. Wondering how Altus Host stacks up against other Web Hosting companies? Enter any other Web Hosting company and we will give you a side-by-side comparison.